The Honeywell QuietClean Air Purifier is a mediocre air purifier that produces small amounts of potentially hazardous ozone while filtering out some, but not all, air impurities. If you're really concerned about the air quality in your home, search for a different air purifier with HEPA-level filtration that does not produce ozone. When the Honeywell QuietClean Air Purifier showed up, I was excited to try it. The device proved to be a nice way to circulate air around my bedroom, and its whisper-quiet operation and tall, sleek tower design made it a welcome addition to my sleep chamber. Then I did some research into air purifiers. Uh-oh. Like other air purifiers with a built-in ionizer, the Honeywell QuietClean Air Purifier produces small amounts of ozone, a gas that can irritate lungs and is not recommended for anyone with allergies, asthma, or any kind of lung or breathing disorder -- in other words, anyone who might want an air purifier. With a clean-air delivery rate (CADR) of about 100 to 132 for dust, smoke and pollen, this model ranks pretty low compared to others with a better CADR of over 300. And the retail price of $169.99 is fairly high compared to other models with better HEPA filtration. Though it's Energy Star-certified, it still uses electricity to accomplish relatively little. If you're still in the market for an air purifier, look for one with true HEPA-level filtration that doesn't produce ozone and is Energy Star rated. 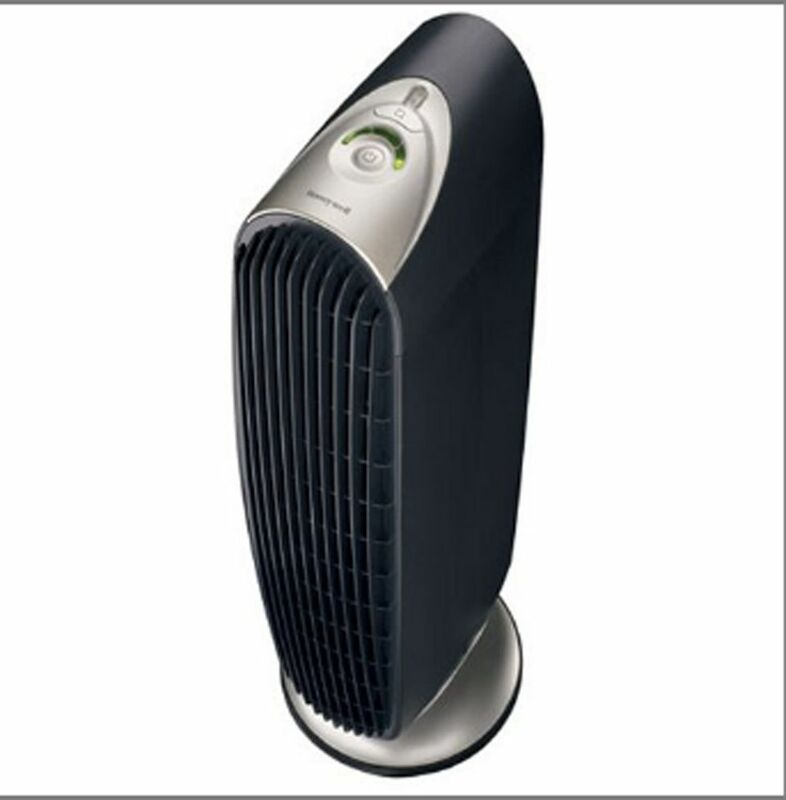 The Honeywell QuietClean Air Purifier isn't the one for you.